For the next few weeks, we'll be examining the cultural impact of the Great War, particularly its influence on 20th century literature. Ann-Marie Einhaus, author of The Short Story and the First World War, offers a guide to some excellent war stories from and about World War I. 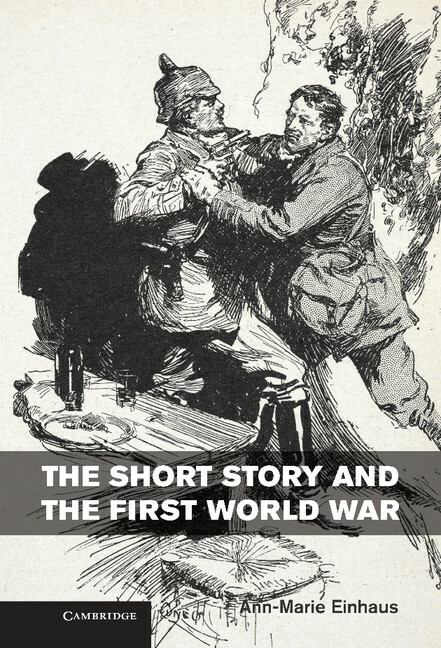 In the course of my research for The Short Story and the First World War, I found short stories about the war to be moving, sad, wildly comical (both intentionally and unintentionally so), bizarre, and most of all, unexpected. While some topics didn’t come as a surprise – such as wartime bereavement or injury – their stylistic treatment often did. 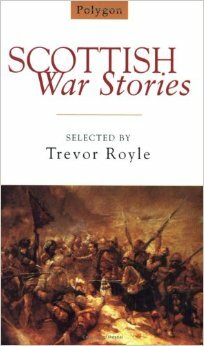 Other stories were eye-openers in terms of the war’s place in the everyday reality of readers and writers, or revealed fascinating insights into the publishing landscape at the time. Whilst researching the book, I looked at well over 500 individual short stories published in magazines, newspapers, collections and anthologies between 1914 and 2000, and these are really only the tip of the iceberg – there are hundreds, if not thousands more stories out there. There is always more to come, too: In early 2014, Ideas Tap, a creative charity funded by the Heritage Lottery Fund and Arts Council England, ran a Short Story First World War Centenary Competition, whose winning entries will be published in a themed anthology. 1. Harold Brighouse, “Once a Hero” (The Penguin Book of First World War Stories, eds. Barbara Korte and Ann-Marie Einhaus, Penguin, 2007, pp. 281-296). A wryly comic view on the inter-war remembrance “industry” in a literal sense: the eponymous hero is a notorious drunkard and troublemaker purportedly dead in action, whose former employer names a new works canteen after his deceased former employee as a war memorial. Only when a young woman falsely claims to be the mother of the dead man’s illegitimate child does he reveal that he is, in fact, very much alive. 2. Mary Borden, “Blind” (The Forbidden Zone, ed. Hazel Hutchison, Hesperus Press, 2008, pp. 91-104). The nurse-narrator of this story describes the experience of having to numb oneself to the pain of others in order to function, only to have her protective shell pierced by a blinded soldier’s fear of abandonment. Borden has become much better known over the past ten years or so, and this story never fails to make a deep impression on my third-year students studying First World War prose. 3. Eona Macnicol, “Grey Boy” (Scottish War Stories, ed. Trevor Royle, Polygon, 1999, pp. 149-164). A formidable old widower in Gaelic-speaking Scotland adopts an escaped German prisoner of war to help him on his farm, half aware of the young man’s identity but refusing to give up what he sees as a heaven-sent helping hand despite the inevitable consequences for himself. 4. J.B. Priestley, “The Town Major of Miraucourt” (The Second Mercury Story Book, ed. Robert Lynd, Longmans Green, 1931, pp. 235-249). The narrator of this story gets lost on his way to Rouen and ends up in the strange little town of Miraucourt, where he meets a peculiar array of grotesque British soldiers who seem to have stepped out of one of Shakespeare’s history plays. This is a surreal little episode that illustrates tellingly the unsettling nature of the war. 5. Francis Brett Young, “Armistice” (The Cage Bird and Other Stories, Heinemann, 1933, pp. 127-144). Two veterans of the war’s East African campaign meet for their own Armistice Day celebrations every year, which are rather jollier than the solemn remembrance practised elsewhere. On this occasion, they accidentally happen upon the German officer who made their time in a German POW camp misery, and who is now a waiter in a London restaurant and married to an English girl. Instead of implementing their long-held plans for revenge, the three men share a drink and part as friends after an evening’s reminiscing about the war.